Activities, tips, and tools to help girls use media in empowering ways. 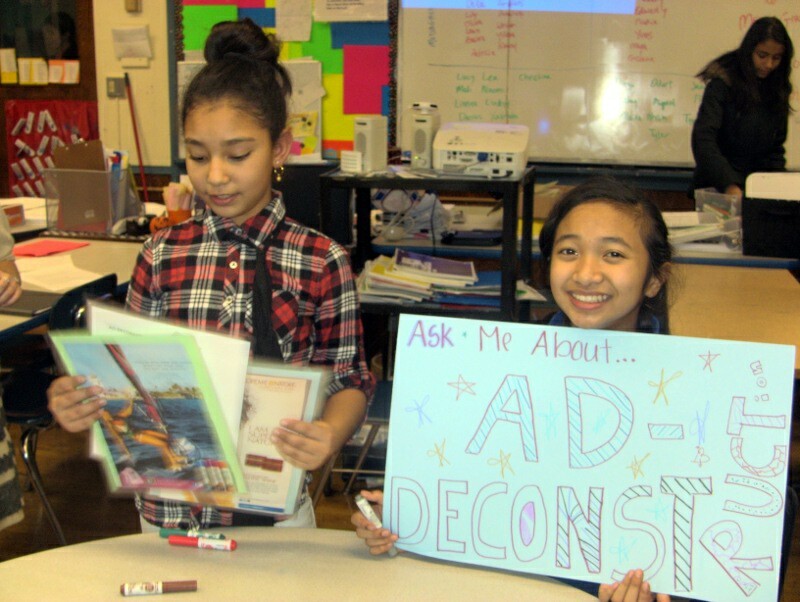 Learn about our after-school program, workshops, and speaking engagements. Advice, music playlists, challenges and more. Volunteer opportunities to change girls’ lives! 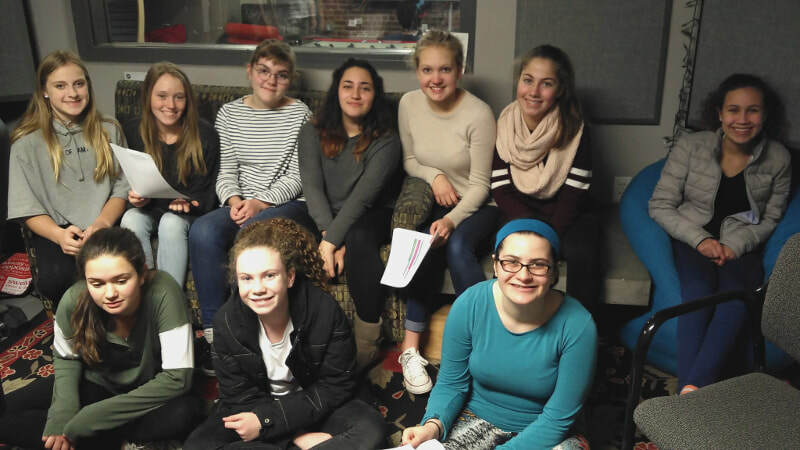 MEDIAGIRLS teaches girls and young women to harness the power of media for positive change. Participants transform social media from a space known for breeding insecurity, to one where they express their authentic selves, challenge sexist media, and speak up for what they believe in. 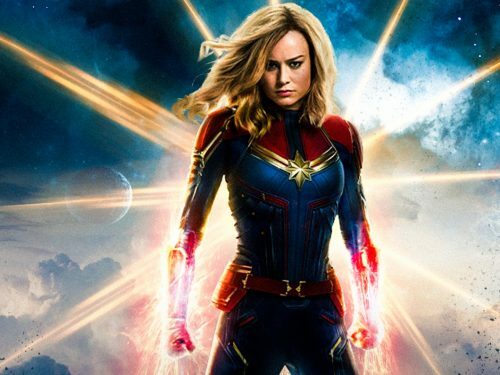 ​Media, not girls, needs a makeover. 69% of girls ages 11 to 21 feel like they are not good enough. 7 in 10 girls are not assertive about their opinion when they do not like the way they look. Come support girls and young women on April 28th, while getting strong inside and out! 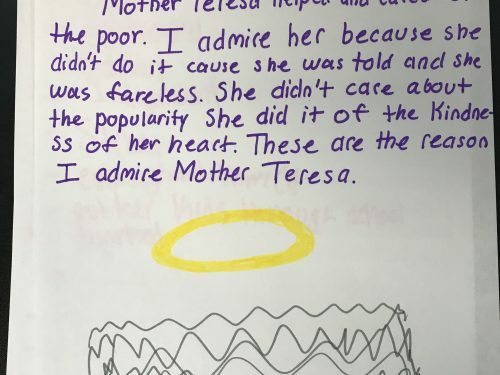 See how middle-school participants are making over media with empowering content. My daughter LOVED everything about the program, including the communications from the women teaching, the messages, the learning, the CHILL energy it seems to have! We learned from MEDIAGIRLS how to stand up to media messages that undermine girls and women. We can either be mesmerized by the media’s false images or empowered to re-shape them. 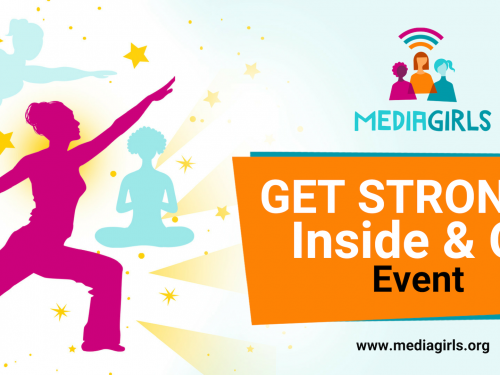 MEDIAGIRLS gives girls the tools to transform their lives and the world around them. I like the talks we have with each other because no one holds back! We are grateful to MEDIAGIRLS for teaching our students and their parents about strengthening their core and empowering them to be “game changers. I love that anybody can say what they want in the program, and not be judged. Michelle Cove is a charismatic speaker who adeptly presented this difficult topic in a refreshing new light. Michelle’s presentation engaged all of the 50 attending students! My daughter LOVED her experience. I LOVED that she loved it and also that she came away with a different lens to the world. I like discussing all the issues around media going on right now and what we think about them! I love everything about the program and especially the teachers! I love that I can practice writing and get good feedback on my work. Also, I hate the way that girls and women are portrayed in the media and I like trying to change that! I like discussing all the topics in class, and wouldn’t change a thing! I enjoy the fact that I can be me and express my feelings without being judged. I really like the mentors and all the girls. I am enjoying everything! I like discussing media content, thinking about it, and writing about it. I like that it makes me feel good, and when I go home, I don’t feel like i have to hide myself! MEDIAGIRLS has had a HUGE positive impact on my daughter! I hope that the lessons she has learned will stay with her for her whole lifetime. The MEDIAGIRLS presentation was informative and thoughtful. Michelle Cove’s passion regarding the representation of girls in the media was obvious and motivation to all who had the pleasure of hearing her words! This program has been a great venue for my daughter engaging with friends around media discussions. Thank you for providing the time and opportunity! My daughter learned how to recognize different perceptions of women and girls in the media. I love that she had the opportunity to discuss a serious important topic that she might not bring up with friends on her own. I felt so proud when my daughter came home and showed me content from the program, and began to question things she saw and experienced in the media. She even asked me if she could take the course again! This program was both illuminating and empowering! We’ve been trying to educate our daughter about these kinds of media messages, and this organized class with new adult voices gave her a framework, tools, and lots of media examples. Michelle Cove was an extremely relatable speaker, which made everyone feel comfortable participating and asking questions! 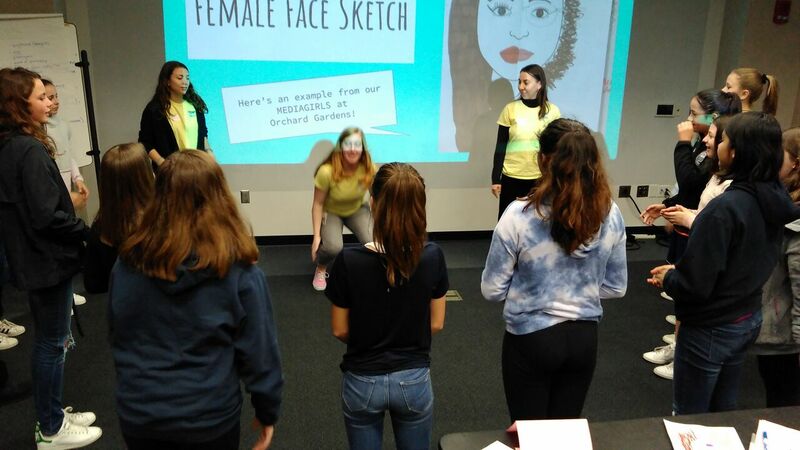 The audience at the MEDIAGIRLS workshop at our Boston International Kids Film Festival clearly enjoyed themselves and learned a lot from the interactive presentation! We’re not only talking about issues in the media, we’re actually doing something about it by making our own content. MEDIAGIRLS counteracts all of the TV that our daughter watches—way too much—and encouraged her to be secure in her own appearance and behavior. She often came home talking about the value of inner beauty and strength. MEDIAGIRLS was thought provoking and engaging, and the teachers were great. I really can’t think of anything that needs changing. MEDIAGIRLS really had a big impact on how our daughter looks at media. She is very into music, and she would talk about songs and how women are portrayed in them, which she had not done before this program. She also does this with ads and commercials. This program offered a wonderful, inspiring and safe space for our daughter to share her thoughts about media and body image about women!